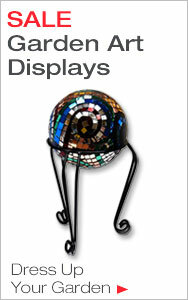 Display your glass art. Choose from a wide selection of metal stands for indoor and outdoor use. 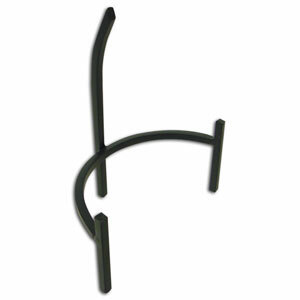 Many of our stands are constructed from wrought iron for exceptional quality. Table-top stands are ideal for displaying glass in your store, studio or gallery, or use these small displays in your home on top of tables and inside cabinets. 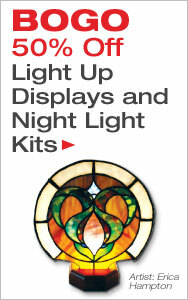 Also find hardware including night light clips and wall display systems. 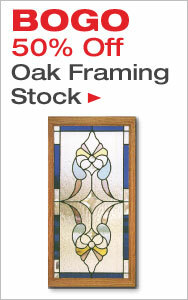 Delphi Tip: The best way to make sure that your glass project fits inside any display neatly is to first purchase the display, then adjust the pattern as needed to fit the frame’s opening.